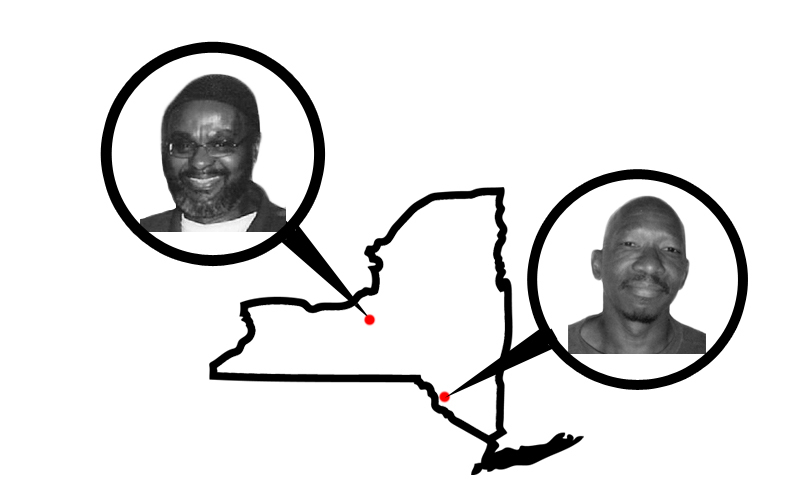 In the announcements for our every-other-week political prisoner letter-writing dinners, NYC ABC typically tries to draw attention to something not directly tied to our work in supporting political prisoners. Maybe it’s a commentary on something trending in corporate media or the ridiculousness of pop culture. However, with the consistent attack on Black folks by cops, direct or indirect, we are unable to focus on much else. Whether it is a murder and attempted cover up by cops in South Carolina or the attempted murder by medical negligence of our comrade Mumia Abu-Jamal, the system and institutions of white supremacy are as strong now as they were seven years ago, seventy years ago, and since the inception of this country. With that in mind, we are writing to prisoners who resisted white supremacy as it bore down upon them– Robert “Seth” Hayes and Abdul Majid. You won’t want to miss this letter-writing– we have the Jericho Movement‘s Mogadishu as a guest speaker. In 1973, following a shootout with police, Seth Hayes was arrested and convicted of the murder of a New York City police officer, and, while maintaining his innocence to this day, sentenced to 25 years to life in prison. Imprisoned for nearly forty years, Seth has long since served his sentence. Seth has ongoing health issues, including diabetes, that continue to be poorly managed by the Department of Corrections. On April 16th, 1981 a van was pulled over by NYPD. Two occupants exited the van and fired upon the cops—one was killed, the other injured. Despite claims by the police that the van was pulled over for connections to burglaries, the folder of “suspects” circulated by the cops exclusively consisted of former Panthers, not burglary suspects. Abdul Majid and his co-defendant, Bashir Hameed were arrested and tried three times. The first trial ended in a hung jury. The second trial was declared a mistrial by the judge immediately after the jury rendered a decision that acquitted Bashir on the murder charge. At a third trial, the state finally got its way—Abdul was convicted of murder and sentenced to 33 years to life. Abdul is expected to go before the parole board for the first time later this month.